Here it is, kiddies: the latest iPhone. Just one year after Apple announced the iPhone 3G, the iPhone 3G S has been announced. There is much to love in this update including larger storage options, a faster CPU, HSDPA support and a better camera all for the same price as the current set. The OS should now run faster thanks to a 50% bump in CPU speed; it now runs at 600MHz. The system memory has doubled to 256MB as well. Apple didn’t forget about the camera – well, sortof. The iPhone 3G S did get an upgrade in that department too, but it’s only with a 3MP camera. It does finally support auto-focus, but it’s still not up to par with other flagship smartphones. Plus, this iPhone can now shoot video at 30 FPS with auto lighting and auto focus. 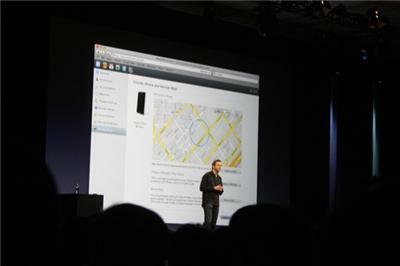 The new hardware will come in both 16GB and 32GB options with black and white models available in both sizes. These options will be available in July for $199/$299 respectively. Battery life has improved as well and Apple is claiming that the iPhone 3G S will go 15- to 20% longer on a charge. But no, the battery still isn’t usre replaceable. The new hardware is welcomed, but the 3.0 software has also been updated with a new feature set. You can now tether – yes, tether – the iPhone via USB or Bluetooth to either a PC or Mac on 22 carriers worldwide; sorry, AT&T isn’t one of them. Speaking of AT&T, MMS will be available sometime this summer through an update. Or so they say. But at least users can now rent and buy movies right from the iPhone. That’s a win, right. Anyway, a new feature that most will love is the Find My iPhone. 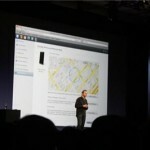 It’s a service for MobileMe subs that, well, finds your lost iPhone and displays its location on a map. It could be a great way to keep track of your spouse too. When activated, you can message your iPhone with a number to call and it will sound a tone even if the phone is on silent. Or you can remotely erase all of the data on the phone. All these software updates also apply to older iPhones as long as they are loaded with the 3.0 software pack available worldwide on June 17, 2009. Apple has kept the price point of the current options. So the 16GB will run $199 with the 32GB fetching $299; both are on-contract prices of course. Phil Schiller didn’t mention if current iPhone owners in an AT&T contract will be able to upgrade without penalty, so expect the official word from the carrier soon. AT&T did just that last year when the iPhone 3G was announced. Expect the lines to start forming now ’cause the new iPhone 3G S will be available on June 19, 2009 in the States with the rest of the world getting on July 9, 2009. The iPhone 3G gets its $99 price starting today though. Update: Remember how last year AT&T let current iPhone owners upgrade without penalty. Yeah, not going to happen this time around. Requires new two-year AT&T wireless service contract, sold separately to qualified customers; credit check required; must be 18 or older. For non-qualified customers, including existing AT&T customers who want to upgrade from another phone or replace an iPhone 3G, the price with a new two-year agreement is $499 (8GB), $599 (16GB), or $699 (32GB).